Ryan refuses to eat any food! Mum is in an angry mood! Chris White is a writer, illustrator and performance poet. He has had many poetry and story books published since his first, ‘Bitey the Veggie Vampire' in 2000. As well as scribbling pictures to accompany his own work, Chris illustrates for other authors too. He also once drew a hamster for the Sultan of Brunei's grandson. 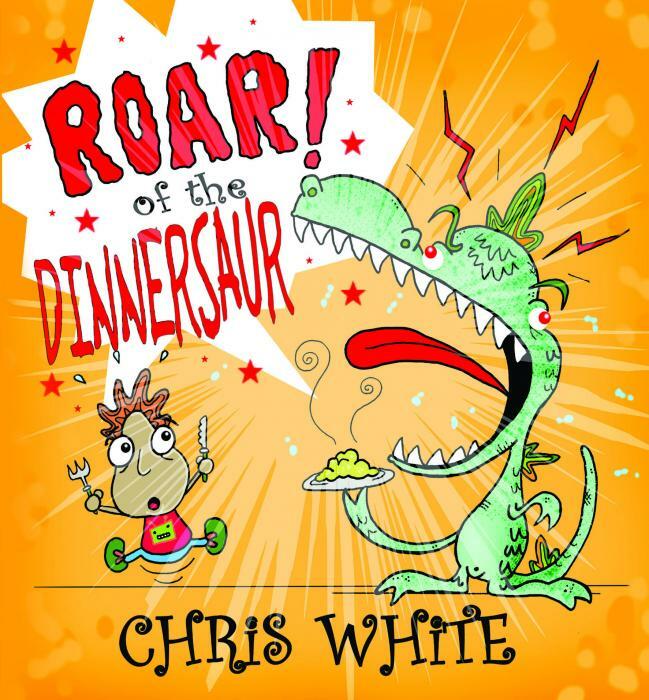 Chris has featured at festivals across the globe, including the Edinburgh Book Festival. His poetry performances and writing workshops have taken him all over the world to places such as China, Russia, Vietnam, Dubai, Jordan and even the Congo where he taught a class how to write a poem in a cave! Chris has had his poems and pictures broadcast on BBC TV and radio and worked for the British Government and the British Council on various projects. Please visit veggievampire.com for more details. Mum's out of ideas... WAIT!.. what was that sound?